The introduction to this Briar Book's Press reprint of the 100-and-odd-year old Pipes & Tobacco (or, Discourse on Smoking and Smokers) is, in Gary B. Schrier's usual manner, equal parts eloquent, honest, and enjoyably contrarian. As Gary notes, the original writing and publishing of this book appears to have been a personal project for J.W. Cundall, who as a minority owner of the publisher, could probably get away with it. Both the original 6p asking price (which would have left little if any room for turning a profit) and the quality and manner of Cundall's writing certainly suggest a labor of love. 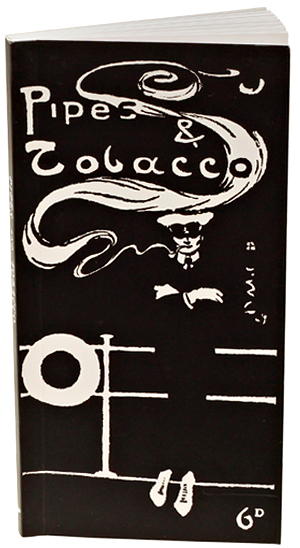 The same could be said of Gary Schrier even tracking down a copy of this material; very few examples of this slim, but surprisingly rich piece of tobacciana literature seem to have survived, or at least survived anywhere not completely obscure. The upside, of course, is that its contents are thus sure to be found as undiscovered country to the overwhelming majority of readers.